Please Note: The following information is for the SOUTH AFRICAN branch of the Tiquin Family. 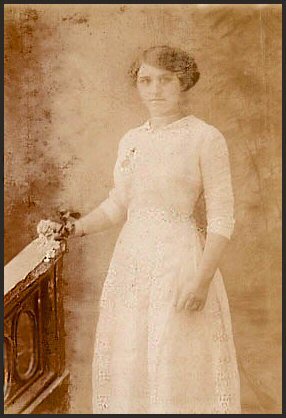 William Peter Tiquin (18/06/1873 to 24/05/1940) married Margaret Evelyn Brown (09/10/1870 to 20/10/1950)(my Great-Grand parents)they had five children: Gerald, Patrick, Thomas, Francis and Mary. Gerald(11/02/1909 to 26/01/1972) married Maria Wagner(20/11/1921 to 29/03/1998),they had three daughters, Noeline, Geraldine and Daphne. Noeline married Evan Goodway, they have a son, Jeremy Goodway, Jeremy has two half-brothers, Iain and Alan. Geraldine married Jan Rust, they later divorced, they had two chidren, Juan Rust and Cynthia Rust, they have two half brothers, Adrian and Sean (Geraldine remarried). Geraldine then married Michael John Burrows, they have two sons, Adrian and Sean, half-brothers to Juan and Cynthia Rust. Daphne married John Alexander, they had three children, Brian Gerald Alexander, Juantia Alexander and Graham Alexander. Daphne's daughter Juanita married Jake-Arkell Hardwick, and had a daughter Amy Arkell-Hardwick. Patrick Tiquin married Blanche, they had one son(adopted), David Patrick Tiquin(15/12/1948 to present), my father. He married Judith Elizabeth Harris(27/02/1951). My fathers maternal mother is Peggy Stevenson, sister to Christine Mace(nee Stevenson). They had three sons, Keith(26/02/1968), Duane(myself)(10/01/1972), and Shane(30/05/1973). Keith married Shanette Yuleen White(29/09/1970), and have two sons, Keagan Reece(19/06/1999) and Cal Jayden(05/11/1999). I am divorced with no children, yet. My younger brother, Shane, married Alison McQuillan, they don't have any children yet. Thomas Tiquin married Elizabeth, they had a son, William Michael Albert Tiquin(29/11/1926 to 06/05/1977). William Michael Albert maried Gillian Bradbury, they had two children,Thomas Winston Tiquin and Tracey Leigh Tiquin.